I've read through the manual a few times already. There is still so much more for me to learn. Bought a some new fabric on the weekend (Patisserie - a jelly roll and two charm packs). Very pretty. 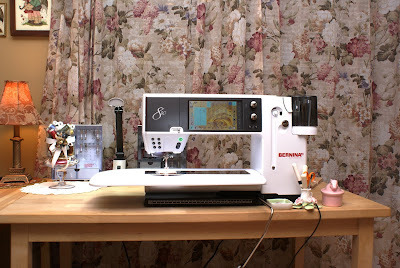 I'll make my first quilt project on the 830 with it. Probably something small, but I do get carried away and often make large quilts in spite of my best intentions to keep it small.